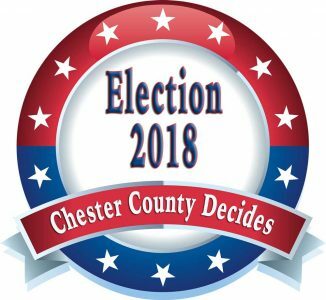 Chester County’s Democrats made strong gains in legislative races Tuesday, winning a clear majority of State House seats and picking up a pair of state Senate seats — not to mention electing a Democrat to represent the entire county in 2019 as well as electing another Democrat to serve the southern part of the county almost immediately. While the “Blue Wave” was intermittent across the country — Democrats did win control of the U.S. House of Representatives, but were defeated in many high profile U.S. Senate races — it was more of a Tsunami in Chester County, as very high voter turnout led to the ouster of four sitting State Representatives and a pair of state Senators. As was the case statewide, Chester County went strongly for Gov. Tom Wolf (D) over Republican challenger Scott Wagner. The same was true in the U.S. Senate race, which saw U.S. Sen. Bob Casey Jr. win easy reelection over Republican Lou Barletta. In Congressional races, Democrat Chrissy Houlahan won an easy victory over Greg McCauley, 58.9% to 41% in the new 6th Congressional District which includes all of Chester County. Democrat Mary Pat Scanlon won the special election in the old 7th District (which includes the southern portion of Chester County) to replace the resigned Pat Meehan, defeating Republican Pearl Kim, 52% to 46%. Scanlon also won a full term in Congress, winning the 5th District seat in Delaware County, also over Kim. At her victory party in Phoenixville, Houlahan thanked her campaign supporters. In state Senate races, Democrat Tim Kearney knocked off incumbent Tom McGarrigle in the 26th District 54%-46%, which is largely in Delaware County, but covers portions of northeast Chester County. In what may have been a bigger upset, Democrat Katie Muth unseated long-time Republican state Sen. John Rafferty in the 44th District, 53%-48%. In Chester County’s nine State Representative races, Democrats won six — giving them a local majority in the delegation for the first time in recent memory — and knocked off a total of four incumbents. Democratic incumbent Carolyn Comitta won easy reelection in the 156th District over Republican Nick Deminksi, 56.5% to 45.4%. Democrat Dan Williams cruised to an easy win in the 74th District — seeking to replace the retiring State Rep. Harry Lewis Jr. — defeating Amber Little Turner, 61% to 39%. Both of those wins were seen as likely, as both districts have a Democratic registration advantage. in four other districts — where Republicans hold a registration advantage — Democrats were able to pull off four impressive victories. In the 155th District, Democrat Danielle Friel Otten knocked off State Rep. Becky Corbin 54.6% to 45.4% in a race that had been polling closer. Otten, who got involved in politics over the controversial Mariner II pipeline, which she opposes, noted it took hard work by many people to fuel her win. She said she plans to bring her stronger oversight over the pipeline to Harrisburg to protect the people of Chester County impacted by the project. In another high-profile race in the 157th District, Democrat Melissa Shusterman defeated State Representative Warren Kampf, 56.5% to 43.4%. 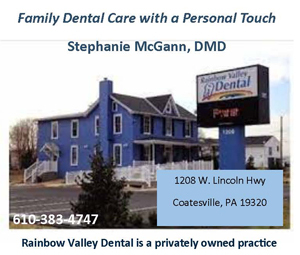 In the Unionville/New Garden area, Democrat Christina Sappey defeated freshman State Rep. Eric Roe, 53.4% to 46.6% in the 158th District. In the 167th District, Democrat Kristine Howard defeated incumbent State Rep. Duane Milne 52% to 48%. Republicans did manage to hang on to three seats in the county: State Rep. John Lawrence held off Democrat Sue Walker 54.4% to 44.3% in the 13th, while long-time Republican State Rep. Tim Hennessey fought off a tough race from Democrat Pam Hacker, 52.8% to 47.2% in the 26th District. In the closest race in the county, 11-term State Rep. Steve Barrar just barley held off Democrat Anton Andrew, 51.2% to 48.8 — about 700 votes — to hang onto the 160th District seat. Andrew won the Chester County portion of the district by a large margin, but Barrar was able to run up large numbers in Concord and Bethel in Delaware County to keep the seat.